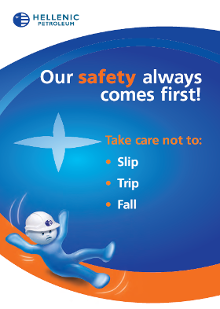 A common procedure pertaining to basic health and safety training is implemented so that there is a uniform safety culture across all of the Group’s industrial facilities. Fire safety - use of fire extinguishing equipment, rescue techniques from heights and confined spaces. First aid (how to treat burns). Use of personal protective equipment (respirators, masks, etc). Presentations concerning international incidents and accidents (causes/conclusions). Periodic reviews (refreshing important safety and emergency procedures). Distribution of the monthly CCPS Process Safety bulletin (Beacon) to all employees: The Group is the official translator of the CCPS bulletin in the Greek language. 2015 saw even more training in the field of safety; we believe that continuously developing the skills and expertise of the Group's employees is a key prerequisite for sustainable growth and competitiveness. Seminars on improving safety behavior were continued and encompassed new levels of administrative staff and engineers at the Aspropyrgos, Elefsina and Thessaloniki refineries as well as at Diaxon. Employees’ training needs are evaluated by their immediate supervisor in the context of their annual performance evaluation after which the implementation of actions to meet the needs identified is planned. Asides from employees, training is also provided to contractors, clients, truck drivers, service station owners and students. Visitors to the facilities are informed on the facilities’ safety instructions through printed material. Specifically for the training of contractors, their training is based on presentations made by Safety Engineers as well as written exams; only successful applicants are granted admission cards to work on site. The trained contractors’ employees must successfully pass written exams in order to be granted an access card to enter the premises for work. Coordinated Fire Drills, in collaboration of the internal and public Fire Brigade and other relevant authorities, were successfully conducted at all Group’s industrial complexes, based on specific emergency scenarios. Emergency drills also take place at port facilities based on safety and oil spill emergency response scenarios. Some drills are also based on rescue scenarios from confined spaces or elevated points of work.